1. Engine feels energetic initially, but as revs climb, it gets noisier and starts to lose steam. Top end is OK, City and Verna are miles ahead. Verna specially is very refined and packs quite a punch. 2. Noise insulation in Yaris amongst the best in its class. Increases comfort quotient and reduces stress. My daily drive is a 2015 petrol Swift and can confirm advantages of silent cabin in a nation where people love to find excuse for using horn. 3. Ride quality at highway speeds made me feel that the car is European and not Japanese. 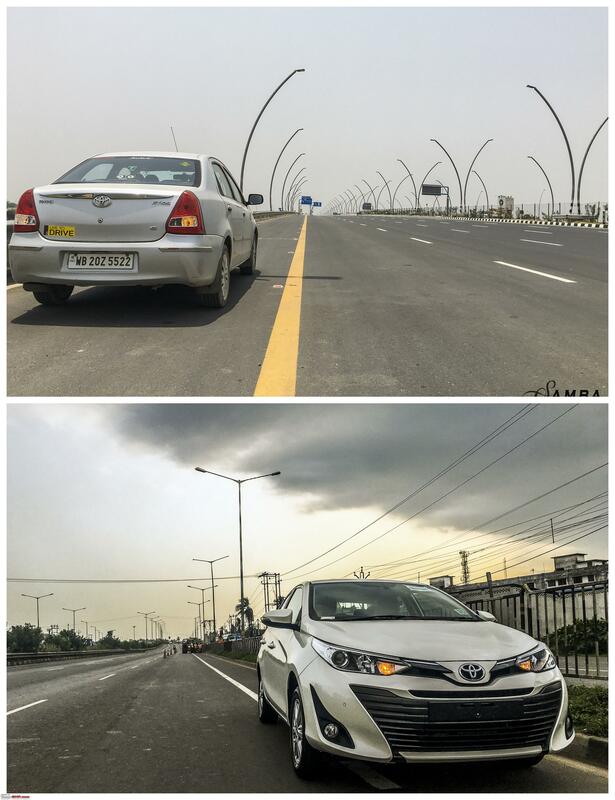 Ciaz, City and even Verna cant hold a candle but Vento has a slight edge. Reminded me of how comfortable I was with Baleno 1.6 sedan. Ride quality might help Yaris find new homes. 4. Rear headroom is abysmal. If I sit in a position to find good under-thigh support, my head was about to touch the roof, I mean I could feel the roof above. A huge negative for chauffeur driven. Ciaz and City are real champions for rear seat space and comfort. 5. Focus on safety is amazing. 2.4 diesel base Innova variant costs around Rs. 17 lakh on road in my city, yet it gets only 3 airbags; Yaris gets 7 as standard. Toyota seems desperate to crack this segment. Build not as good as Vento, boot lid didnt feel solid but its much better then Ciaz/City. 6. Excellent braking. Power windows were much faster to wind up/down than my 2012 Innova. 7. Front end design seems excessively busy, didnt like the large headlamps. 8. Horrible central console. Cant be used by front occupants for comfort, practically makes Yaris a car for 4 occupants instead of 5. Bewildered on this one, how was it not modified before entering serial production in an otherwise well engineered car. Looks a non-Toyota bit. 9. Steering is not as light as Honda City, but lacks feel. Driving Yaris after my Innova was a dream, the light controls made life so easy. Yaris is good at cruising, but overall the drive wasn't' satisfying. Price list is not going to help Yaris in long run I guess. Rear seat space is biggest drawback of Yaris and will keep it away from chauffeur driven section of market. If one ignores bare basic interiors and illogically placed central instrument cluster, Etios is more involving to drive, offers more space and engine feels more eager in mid-range than it does in Yaris. Last edited by aaggoswami : 21st June 2018 at 13:23. Its standout features are that badge on the hood & safety kit (City, Vento & Verna aren't exactly unsafe). There is one more. It offers CVT option in all variants right from base J, and they priced it under 10L pan India. They missed essential features like rear defogger and speed sensing auto lock in base variant though. In addition to the pricing, Toyota has big time messed up the stance of the car. The body is huge towards the back and the undersize wheel & tyres make it bad. It almost looks like a van from certain angles. Maybe the VX should have come with the Asia market spec tyres/ wheels. I take offence to such product pricing! Am I allowed to take offence? I don't care..I take offence to such product pricing!! I would rate Etios a better car than the Yaris! With that engine and power to weight ratio, its amazing to drive! All Toyota needed to do was to make the Etios exactly like the one they sell in Brazil! At the current price, they should offer a Digital Dash, Automatic and better quality interiors. It would've sold like mad and probably given City a headache! But no! Instead, they launch the Yaris which is neither here nor there and, to add insult to injury, they price it very high! Great review guys. Thanks for sharing. This review brought out several small but significant things that make this a less attractive package than I initially thought it to be. HU with no Android Auto or Carplay, the compromised rear headroom, fact that it seems to be a 4 seater (especially considering how the Etios shines in rear seat space), rear camera without any guide-lines, no Auto IRVM are some of the things that immediately stood out. So looks like they skimped on some features, brought in some segment first stuff in the top trims and went about marketing it. 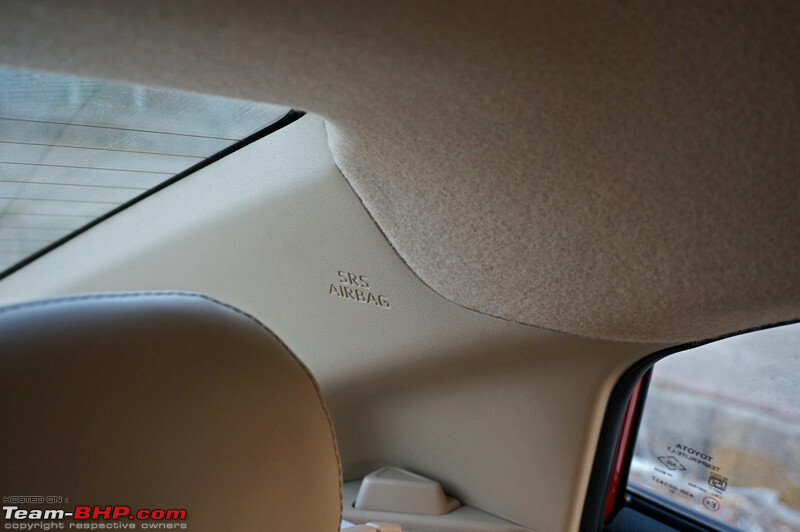 The 7 airbags and the all variant CVT options are great features. Also good to hear that the build feels solid. Although we cannot map build quality to crash worthiness, a good build always leaves a nice feeling. As GTO mentioned- Good but not great. And within this segment, Good is definitely not enough to make a significant dent. Would be interesting to see how it fares. Toyota entering the extremely competitive C2 segment so late is a surprise. But as they say - better late than never. However, with the C2 segment itself struggling to hold on against the Compact SUVs and the Crossovers, it'd be interesting to see what targets Toyota has in mind for the Yaris. A pat on the back for Toyota for focusing on Safety like no other manufacturer in this segment. Well Done. As a product, I find it very difficult to buy/recommend the Yaris. With much better alternatives for each set of requirements, the only person I'd recommend to pick the Yaris would be the person who wants the safest C2 car. And that too, the base variant. With so many 'first in class' features which Toyota is boasting about, isn't the missing footrest for the Automatic Yaris also first in class? Ridiculous ! Terrific review guys; can't get more comprehensive than this! The Yaris is so much more contemporary than what Toyota did with Etios! Despite some feature-wise misses, which most cars do have in some form or another as well, I think it is well put together. Until you realize there's no diesel. And the atrocious pricing. Toyota HQ needs to spend a day analyzing the comparo on slide 3 and just maybe they'll realize how foolish they've priced the Yaris. A difference of 3.5 lakhs (let that sink in) between the Ciaz and Yaris top-end AT is simply criminal. You're competing with Maruti (which has 50% market share) and City, both who complete a 1-2 finish in the segment and yet, you make such glaring mistakes. The Yaris will still find a decent no. of takers I believe, because Indians do value reliability. The Toyota badge is aspirational. But it will fare far much lesser than what it could have been capable of. 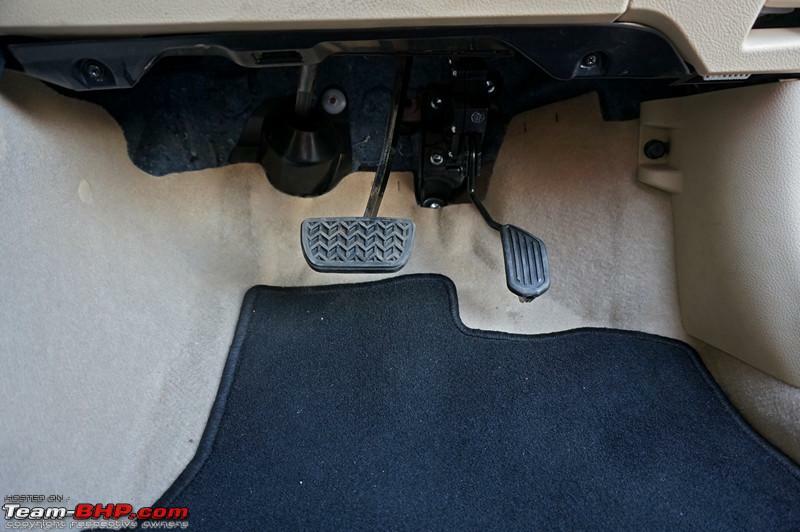 Maybe Honda and Toyota have a how to shoot your own foot competition going on. Last edited by libranof1987 : 21st June 2018 at 14:29. Great review as always (goes without saying). Well, you are not alone. I do too. And Toyota is a serial offender. But, if you say this aloud, you will be shouted down by people who would blame tax structure, Indian laws and what not. And as long as we are crazy about a ride on a Toyota, Toyota will take us for a ride. Wow dude! Your observations match ours almost 100%. The body is huge towards the back and the undersize wheel & tyres make it bad. It almost looks like a van from certain angles. It reminds me of my ugly Nissan Sunny in some ways. I would rate Etios a better car than the Yaris! With that engine and power to weight ratio, its amazing to drive! Agreed. The Etios Petrol is still one of my favourite sedans to drive. Thanks for a detailed and exhaustive review. The old workhorse (Etios) with its shortcomings like cost cuttings, lack of features and bad interiors still managed to gain a lot of praise in terms of comfort, reliability and a no nonsense, dependable yet fun to drive car which can take you from point A to Point B and even more without a fuss. This statement is coming after using an Etios (petrol) for 85,000km in 7 years and after driving it to places like Ladakh, Spiti, Bhutan, Sikkim and few more. But when the Etios was launched it already looked and felt old compared to its competition. So a fresh affordable sedan from Toyota was badly needed. After 8 years of launching the Etios, Toyota finally came up with the much more contemporary and modern Yaris. Its a much more sorted car than the Etios in terms of looks, features and feel good factor. All these are required to enhance the sale. It has got the plush factor which the Etios lacks. But to me Etios is still more fun to drive than the Yaris! Comparing Yaris with Etios doesn't make much sense. 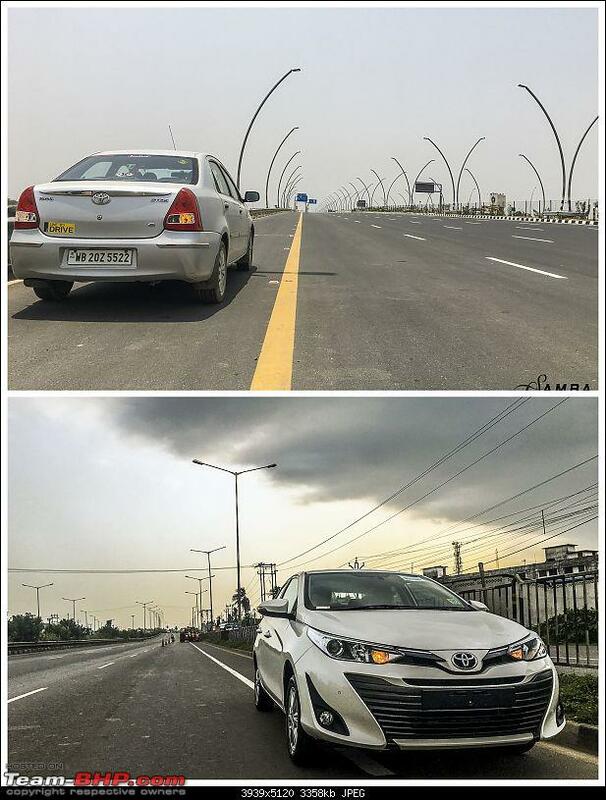 The Yaris must be compared to City, Ciaz or Verna! Now does this car make enough sense? City has a better petrol engine. Verna has a great diesel engine. The Ciaz is from Maruti! Do i need to say more? The Yaris has better build and the best of the lot safety package. Few may say it has the Toyota reliability but i personally believe all the four should be equally reliable. One has to pick according to their needs. If i would have to pick one among these four, my choice will be the City petrol, just for its sweet 1.5L i-vtec followed by the Yaris for its superb safety features which can't be ignored & then the Verna/Ciaz. Edit : Excellent review. Rated 5*. Last edited by Samba : 21st June 2018 at 16:12. What I consider of Toyota Yaris is that it is not a competitor to the Verna, City & Ciaz but only to that of the Ciaz. This is the car you would wanna buy if you want to sit in the back seat and enjoy being chauffeured around in the traffic while you read the newspaper, which is exactly what the Ciaz was meant to be. None of the enthusiasts would buy the Ciaz and now it'll be the same for Yaris. This car will please the general population and is no charmer in disguise. An excellent review as usual! and the picture here: http://www.team-bhp.com/carpics/2018...a-yaris-37.jpg mentions the airbags on the C pillars! 2 front airbags + 1 Knee airbag + 2 front side seat airbags + 2 side curtain airbags from the A-pillar to C-pillar = 7 airbags total. 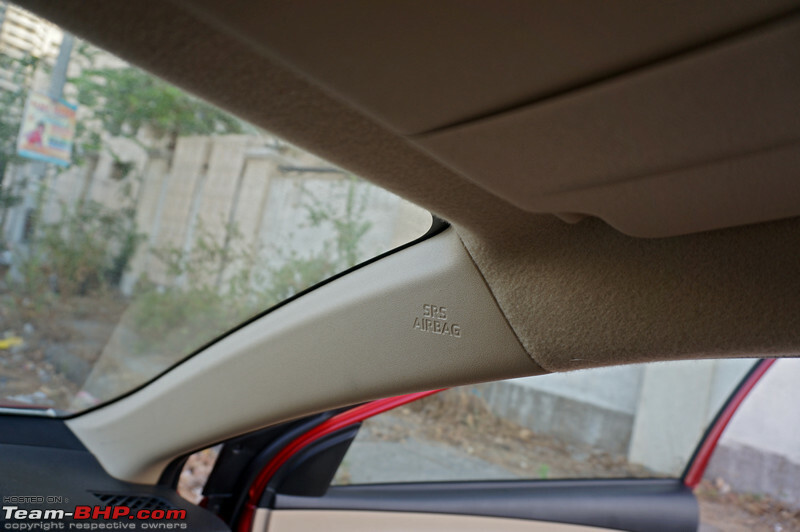 The side curtain airbag extends from the A-pillar to C-pillar.